Thank you for posting prayers and notes during the search for the missing climbers on Mt. Hood. Please continue to pray for the families who are grieving and also that Brian and Nikko will soon be found. Family members are continuing to read the words of comfort and heartfelt friendship posted here. We invite you to join our discussion below, as we reflect together on God's mysterious ways and seek a deeper relationship with Him. It's been a long time—years actually—since we've posted anything here. Still, people have continued to come to this site. Stephen Colbert's recent interview of Vice President Joe Biden was a powerfully vulnerable and very moving conversation about grief and faith. We felt it was worth sharing. "Faith sees best in the dark." "I shall look at the world through tears. Perhaps I shall things that dry eyed I could not see. To read more about the Kierkegaard quote, go to: "Faith Sees Best in the Dark": Joe Biden and Kierkegaard. Wolterstorff's quote comes from his book, Lament for a Son, p.69. The names are different, but the agony is the same. Instead of Kelly, Brian and Nikko, the names are Katie, Luke and Anthony. One body recovered, two experienced climbers missing (as of 14 December 2009). The search & rescue effort is hampered by extreme weather conditions. The somber sheriff is surrounded with microphones from reporters and family members try to hold themselves together while their hearts are stuck in their throats. 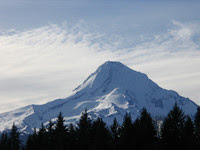 Three flawed followers of Jesus are lost on Mount Hood in a cold December. This tragedy is the last thing I wanted as I prepare myself to enter into the mouth of mourning for the third time. All year, every day, my wounded heart bleeds with grief. The bleeding ebbs and flows but never stops entirely. I hide my wound behind my work and ministry and manage to do what I am supposed to. There even have been a few moments of joy in the last three years. When our large boisterous and fractious family gathers, there is always a subterranean consciousness that someone is missing. And now Mt. Hood is threatening to do the same to others. What can I say to the families who are this very moment huddled together, grasping for every encouraging report, weary from sleepless nights and long days, fiercely holding out hope? I have no magic wand or pious platitudes that will make it all go away. It is already too late for Luke’s family. But for the loved ones of Luke, Katie and Anthony, I can only say, you are not alone. Somehow God is present in the storm—for the climbers and their anxious families. That does not remove the fear, the anxiety and the struggle; it does remind us that God is there when we reach out into the darkness. It is no doubt foolish to think I might have anything helpful to say to the remaining families because they are so vulnerable just now—but perhaps they will listen because it comes from a broken heart. David reminds us all in Psalm 46 that “God is our refuge and strength, a very present help in trouble.” David does not promise that our loved ones will be rescued from the mountain. Nikko, Brian, Kelly and now Luke, were not rescued. David does not promise there will be no trouble or any heartache in this life. He only promises that God is with us in the trouble. I don’t exactly know what this will mean for each one. For me, it has meant that I can shout out loud my frustrations and even say things I don’t really mean; I can weep quietly in my bed in the middle of the night; I can look up into the sky, stretch out my arms and ask why? In all of this anguish, God was present even when I felt alone. I don’t understand this paradox: how I can feel so alone and yet sense in my bones that God is near? David describes much the same experience in Psalm 10. David cries out in verse 1: “Why, O Lord do you stand far off? Why do you hide yourself in times of trouble?” But then David declares unequivocally in verse 17: “You hear, O Lord, the desire of the afflicted; you encourage them, and you listen to their cry.” It is a mystery—somehow both are true at the same time. Mount Hood is a monster—a beautiful monster, but a monster none the less. Like the ancient sirens that seduced sailors in Greek mythology, Mt. Hood lures adventurers to its magnificent slopes and then freezes their lives away. God is not a monster. He is a mystery that pulls me toward Him even as I squirm and resist. And He is there in the dark places when I feel most alone. On Thursday, 17 December (the day the rescuers found Kelly), I will go through my annual ritual of smoking a cigar, drinking a glass of wine while listening to foot-stomping honky-tonk music. I will shout out loud and says things I don’t really mean. I will lift my empty hands to the dark sky and ask why. And I will remember Luke, Katie and Anthony along with Nikko, Brian and my dear outrageous irrepressible brother—Jeffrey Kelly James. My thanks to those who continued to remember Kelly and our family. I am amazed and blessed that so many continue to check the website and often leave the most wonderful messages. On dark days, these words of encouragement are like rays of light. It has been two years since Kelly’s frozen body was found in a hastily dug snow cave near the summit of Mt. Hood. In the months following Kelly’s tragic death, we stumbled reluctantly back into the everydayness of our lives. Gradually, the earth returned to its rotational axis, and we all have done our level best to press forward even though our hearts are still broken and tears remain close to the surface. God is still on his throne ruling the universe, but seems much more mysterious and unfathomable than before. And Kelly is enjoying the presence of God—Father, Son and Holy Spirit. If someone were to ask me, would I remove Kelly from his glorious bliss and return him to this fallen world with its veil of tears—my answer would be: Yes, a thousand times yes! 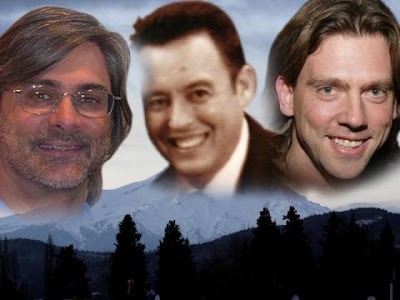 If I could utter an incantation or wave a magic wand that would have stilled that deadly unrelenting snow storm so that Kelly (along with Brian and Nikko) would have been miraculously rescued, I would do it in a nano-second. I am selfish I know. Today, on the second anniversary of the discovery of the body of my little brother, I have taken the day off from work and in the evening I plan to drink a glass of wine, listen to some funky down-and-dirty Texas alternative country music and smoke a cigar in Kelly’s honor. I will drink the wine to numb the pain of his loss (which refuses to fade away) and I will listen to the country music because that connects me in a mystical way with Kelly. I actually hate cigars, but I know Kelly planned to smoke a cigar with Brian and Nikko once they reached the other side of the mountain—and so I will smoke my cigar in recognition (but not quite celebration) that they all have reached the other side. I smoke in their stead because I doubt there are cigars in heaven. 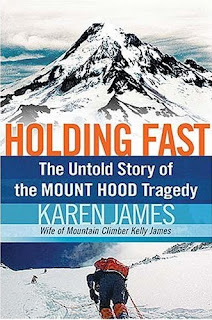 Karen James' book, Holding Fast: The Untold Story of the Mount Hood Tragedy, tells the story of the crisis on Mount Hood in which her husband Kelly (Frank's brother) and his two climbing partners, Brian Hall and Nikko Cook, lost their lives. In the book, Karen tells the story of her relationship with Kelly, their shared faith in God, and her personal journey with grief. She also employs her expertise as an investigative reporter in her search for answers of what went wrong. Her conclusions are endorsed by search and rescue experts who were involved in the search. Saturday, November 15, on the Today Show, Lester Holt interviewed Karen about her book. There's a rickety old shack in the Oscar winning movie, Forest Gump, where Forest's best friend Jenny grew up. Jenny's shack is also the place that hides her darkest, most painful memories—early years of sexual abuse. After they reach adulthood, Forest and Jenny revisit the shack. It is a powerfully wrenching scene when Jenny, enraged by the memories she cannot shake, hurls fistfuls of rocks at the hated shack. Later, Forest finishes the job by flattening it with a bulldozer. But the ill-effects of childhood suffering are able to withstand Forest's demolitions efforts. 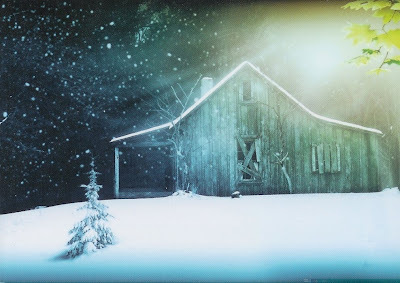 Paul Young’s runaway bestselling novel, The Shack, takes up a similar theme. Young's novel has attracted an enormous readership which, in itself, would be reason enough to discuss his book here. He has also drawn fierce criticism from Christians for his portrayal of the Trinity and for his theological views which he is audacious enough to put into the mouth of God. I read and discussed The Shack with six highly respected, theologically minded people. All seven of us are seminary graduates with years of experience in theology, biblical studies, and pastoral concerns. You may be surprised to learn that our discussion touched only briefly on the theological controversy and then went in another direction. Yes, we are all seminary graduates capable of wading into the controversy. But we have another thing in common which changed our reading of Young’s book. If you’re hurting—if there’s a painful, immovable fixture on the landscape of your life—this book will touch you in your deepest place. It did that for all of us. 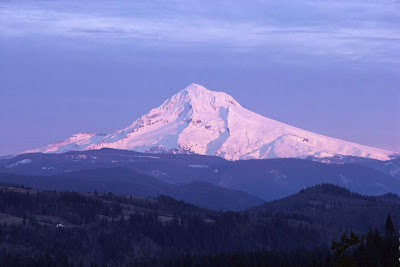 Frank and I felt a deep connection between Mack's struggles and the shack we are dealing with in the aftermath of his brother Kelly's death in the snow cave on Mount Hood. The Shack is about being reassured of God’s relentless love for you in the presence of your greatest reason to doubt Him. How ironic for Mack to come to grips with God’s love at the murder scene of his daughter where God’s love seemed so wholly absent. I’ve always said, I’d rather hear about God’s love from someone who believed they had lost it, than from someone whose rosy life never forced them to doubt. The Shack is about the importance of the hard places in our lives. In our victorious, prosperity-obsessed, air-brushed Christianity, we completely miss this. There’s a lot of truth to the charge coming from people who are leaving the church that we are not honest about the shape of our lives and the state of our faith. In the church, shacks are secrets unless something unforseen blows your cover. Shacks are shameful. And the doubts they produce are signs of spiritual failure, not the path to growth. I don’t necessarily advocate full public disclosure of our deeply private struggles, but there surely is a place for us to acknowledge to one another that we all have spiritual struggles, we wrestle with doubts about God, and we all have our shacks. Have you read The Shack? What are your thoughts?